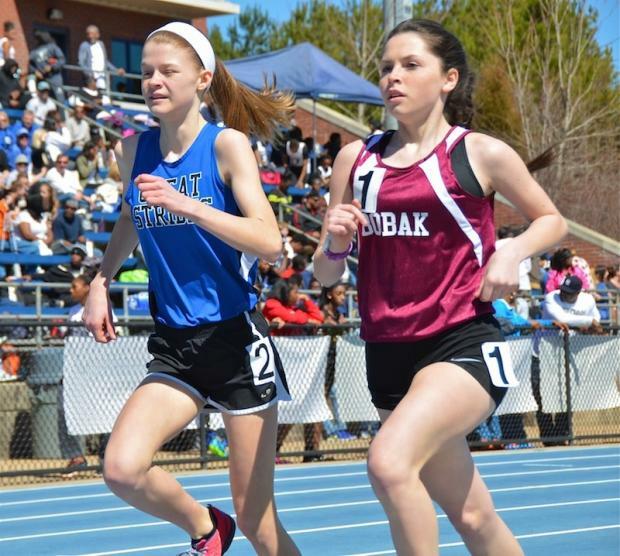 Caroline Patterson of Great Strides and Faith Bobak, Unattached, had a terrific race in the 1600m. Faith earned the win in 5:31.38 while attempting to stick to the time splits designated by her Coach, Eric Heintz. Blue skies and spring-like temperatures greet the Girls 1600m Heat #2 as it gets underway with a shot from Starter Chris Person's pistol. Solid Gold! 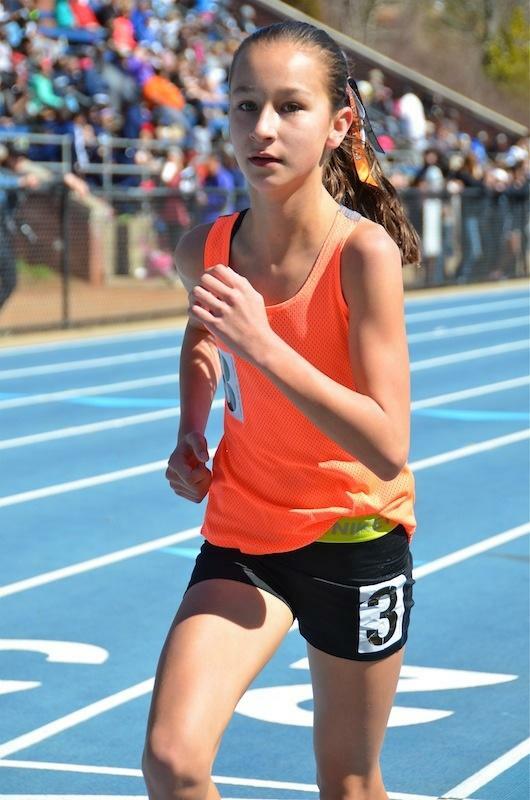 Grace Ellsworth won the Girls 3200m Run with her MileSplit National Elite: Gold Standard 11:48.08. 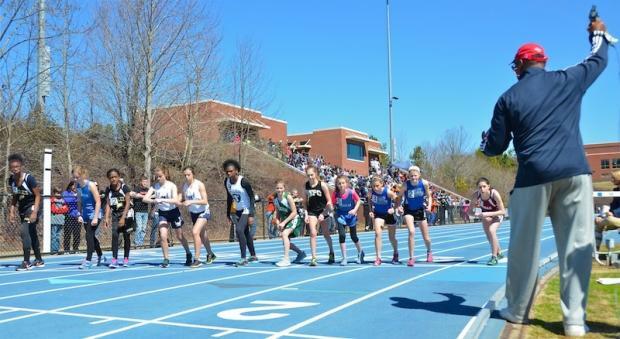 This is the fastest Middle School Girls time in GA so far this season. Congratulations! 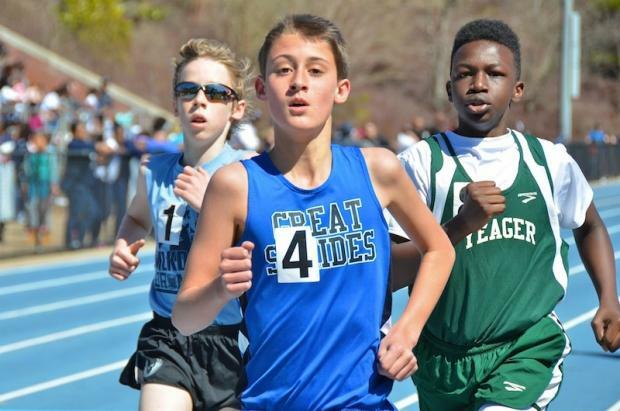 Michael Patterson of Great Strides worked to stay ahead of John Owens (1) and Xavier Corley of Yeager Middle School in the Boys 1600m. Ben Gordon of Marietta showed patience and did not move to the front until it mattered. 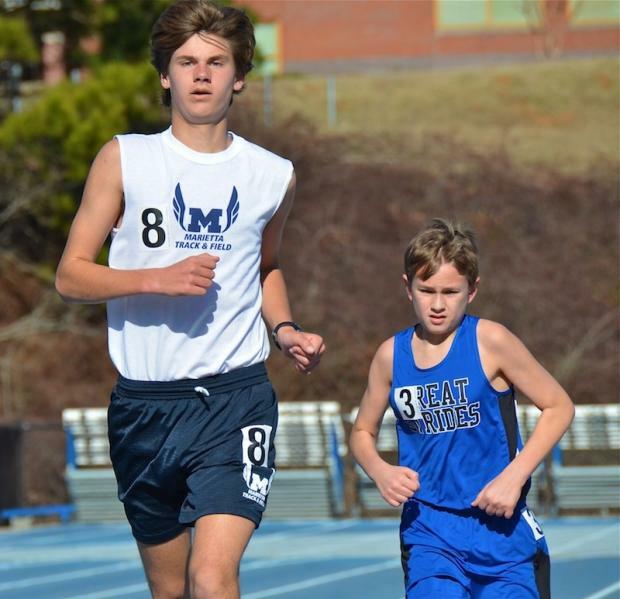 Ben Gordon of Marietta was head and shoulders above the competition in the Boys 3200m. Leading much of the race, Brennan Bower of Great Strides put up a great fight to earn 2nd place. Encore performance! Sarquane Ridgely of Sparta Track blazed to the win in the 200m in 25.71, reaching the MileSplit National Elite: Gold Standard. 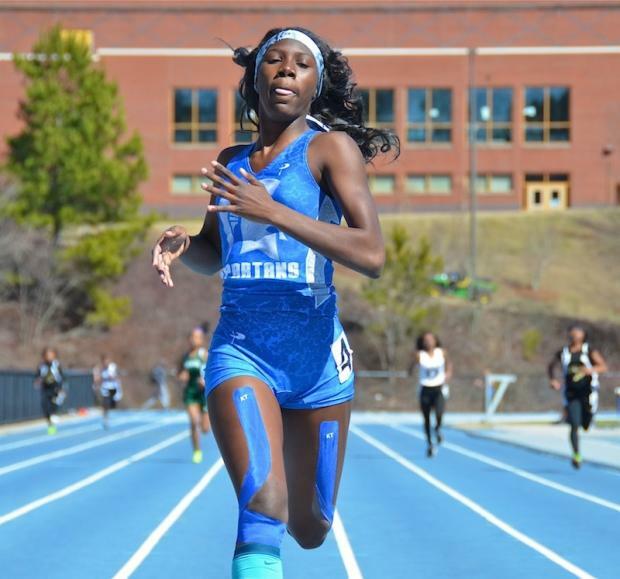 Earlier in the day, Sarquane posted a 12.97 in the 100m to edge Kaylisa Anderson of Barber Middle School by .03 seconds. 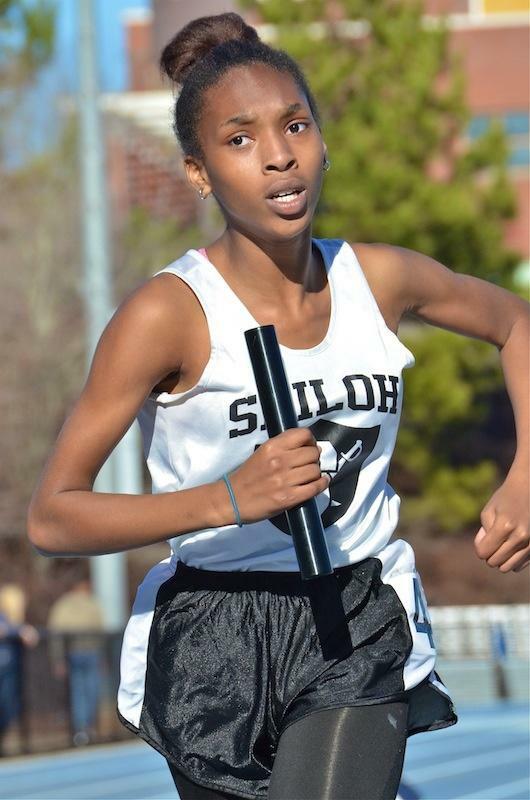 Comprised of Patiana Thomas, Erica O'Neal, Aniah Wright, and Anchor Jasmine Hobson, Shiloh Generals Track 4x400 Relay Team posted the fastest time in GA this season at 4:35.72. Marietta Middle School took 2nd with their 4:48.94, and Hilsman rounded out the top three in 4:59.89.